How to Salvage Bad Claims with Better Claim Management? How Can Radiology Information Systems Stay Relevant in the Future? Why O2I's EMR Software Solutions? Trillions of dollars are spent on health insurance claims with billions of them being processed every year. A small part of these include fraudulent claims, which account for a high value. An estimation from the National Health Care Anti-Fraud Association (NHCAA) states that there are financial losses of several billion dollars due to healthcare fraud and abuse every year. With all these estimations, one question that strikes our mind is ‘what is medicare abuse and fraud?' Anything right from treatments which were never administered to false diagnosis done to avail higher insurance amounts, falls under medicare fraud and abuse. Over the years, the frauds committed by healthcare facilities, institutions and providers are becoming extremely challenging. Every year, insurance companies in the US lose several thousand dollars to medical fraud. According to the assessment done by the Affordable Care Act (ACA), between 2015 and 2021 healthcare spending is expected to grow at a rate of 6.2% per annum. What Makes Healthcare Fraud So Alluring? With insurance and other policies becoming increasingly popular, healthcare crooks can be anyone, including the patients, suppliers, vendors, providers as well as pharmacists. In addition, computer hackers and organized crime rings also add up to this list of fraudsters. The process involves billing for a higher-priced treatment, which was not actually provided. Here, an inflation of the affected individual's diagnosis code will be used. This code will be matched to a serious condition and then coupled with a false procedure code. This type of medical fraud is frequently associated with cosmetic surgeries. Here, non-covered, medically unnecessary treatments will be represented as covered, medically necessary treatments to obtain the payments from insurance claims. For instance, a cosmetic procedure, such as a nose job, will be billed as a deviated septum repair. At times, healthcare providers bill every step of a treatment administered as separate treatments or procedures. This type of fraudulent billing is known as unbundling and will cost a lot to the patient's insurer. The instances of performing medically unnecessary procedures for the sole purpose of claiming insurance payments are on a constant rise. Such medicare frauds are predominant in nerve conduction and other similar diagnostic-testing schemes. On an average, 250,000 to 500,000 individuals become victims of this crime globally every year. So, it is important to be aware of identity thefts associated with medical fraud. In a medical identity theft a person's name or other personal information will be used without the consent or knowledge of that person to obtain medical goods or services. In addition, the stolen identity can also be used for submitting false insurance claims. Therefore, identity thefts can have devastating financial impacts on the insurer as well as the insured. The list of healthcare offenders has evolved and grown beyond dishonest healthcare providers and other fraudsters. In the recent years, health insurers and law enforcement agencies have witnessed criminals migrating from illegal drug trafficking into lucrative and safer options of rolling out fraud schemes against private health insurance companies. Private insurers and government programs have lost several dollars to such criminal rings. Surprisingly some of these criminal rings are based in South and Central America. These groups are known to make use of provider-billing information and genuine patient data to fabricate false claims from non-existent clinics. Private-public, non-profit organizations, such as the National Health Care Anti-Fraud Association, solely focus on equipping healthcare institutions and private insurers to prevent fraud. They enable public and private sectors to identify, examine, implement medicare fraud and abuse penalties and eventually prevent fraud against health insurance systems. These establishments represent combined efforts of anti-fraud units of private health insurance payers as well as law enforcement agencies having jurisdiction over the crime. Besides, they foster private-public cooperation against fraud at policy making levels, thereby creating strong medicare fraud and abuse laws. Furthermore, information on healthcare fraud investigations will also be shared among health enforcement agencies, medical insurers or anybody who is interested. Such information on medical fraud investigation will provide organizations with a better and broader picture of healthcare fraud. How can you Prevent Healthcare Fraud? 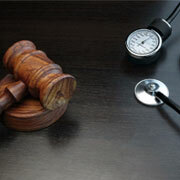 Following these simple steps can help you minimize the instances of medical fraud and abuse. This helps you save huge dollars and prevents the insured individuals from undergoing any sort of medical abuse, while the fraudsters make money out of false claims. Like any other fraud, healthcare fraud is also not a victimless crime. Unfortunately, financial losses are only a part of the big picture. There is a human face too. Medical fraud victims are the people who are subjected to unsafe or unnecessary medical procedures. While medical records of some of the victims will be compromised, legitimate insurance information of the patients will be used to make falsified claims in other cases. Sadly, such exploited individuals are easy to find. Today, there is unsustainable growth and high federal budget deficits in healthcare costs. For this reason, businesses should keep a check on unnecessary expenses associated with healthcare claims. Fraud and abuse top the list of factors that actually contribute to these unnecessary expenses. Healthcare fraud is a mounting problem for both - the industry as well as the state and federal governments. Despite the ongoing effort, making meaningful inroads has been daunting. Providing quality services for global healthcare companies and practitioners for over 20 years now, Outsource2india is an expert at offering highly efficient healthcare BPO solutions including medical billing and coding services at extremely reasonable rates. Being an experienced player in the domain, we are aware of the probable areas where medical frauds are predominant and have appropriate processes in place to prevent them from occurring. In addition, we are compliant with HIPAA, CPT coding, and ICD 10 as well as HL7. This makes us one of the most reliable medical back-office service support providers. Our specialized healthcare teams will successfully navigate complexities associated with the modern-day health insurance systems. You can now partner with us to make a positive impact on your revenue stream and augment your customer satisfaction ratio. Contact us now to discover how you can prevent healthcare fraud and become a trusted medical insurer.